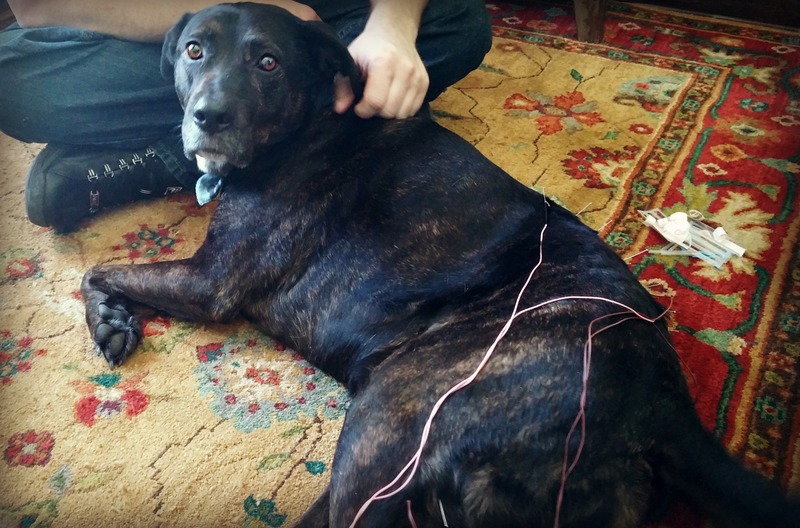 All of the doctors at Natural Healing Pet Care are certified in veterinary acupuncture. Acupuncture is a very powerful therapy involving the insertion of tiny needles into certain points on the body that have particular actions. These acupuncture points have been shown to have increased density of nerve bundles. When activated they are able to produce a response in the body such as the release of natural pain killers called endorphins and antidepressant chemicals like serotonin. Acupuncture also works by changing blood flow. By diverting blood away from a certain area of the body you create an anti-inflammatory state. By bringing blood to a certain area of the body you can help to nourish and bring immune cells to an area thereby helping to prevent or treat infection. From an Eastern medicine stand point, acupuncture helps to direct the flow of Qi or Life Force. Energy in the body can be either excessive or deficient. Acupuncture helps to move the body back into balance. Dr. Nicole Leveque practices several different techniques and instrumentations of acupuncture. TRADITIONAL NEEDLE ACUPUNCTURE: Dry needle acupuncture is the most common treatment modality in veterinary medicine. ELECTROACUPUNCTURE: Electroacupuncture is the passing of electrical energy through acupuncture points. Electrostimulation can produce higher and more continuous levels of stimulation than can be produced manually. It is most often used for conditions such as paralysis and severe and chronic painful conditions. LASER ACUPUNCTURE: Low Energy Photon Therapy (LEPT) offers treatment through the combination of light energy and traditional acupuncture points. MOXIBUSTION (Indirect): Moxibustion is the heating of acupuncture points by heating moxa punk and other herbs above the skin near acupuncture points. The heating of the herbs warms the Qi and the blood channels and aids in increasing the flow during times of stasis. Moxibustion also rejuvenates the Yang Qi and dispels internal cold and dampness. AQUAPUNCTURE (injection therapy): Aquapuncture involves injection of solutions (often homeopathics) into acupuncture points.